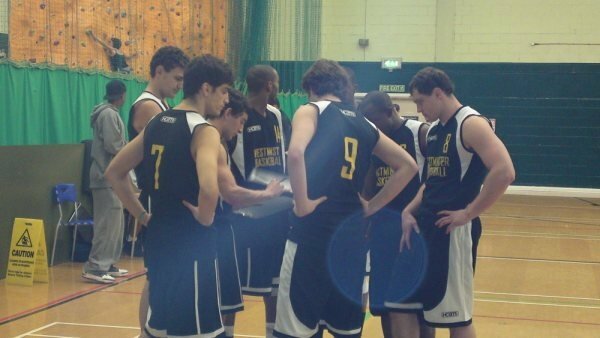 Westminster Dragons Men’s Basketball Club formed in 2009 and helped founded by former European coach and player Bertan Gur. 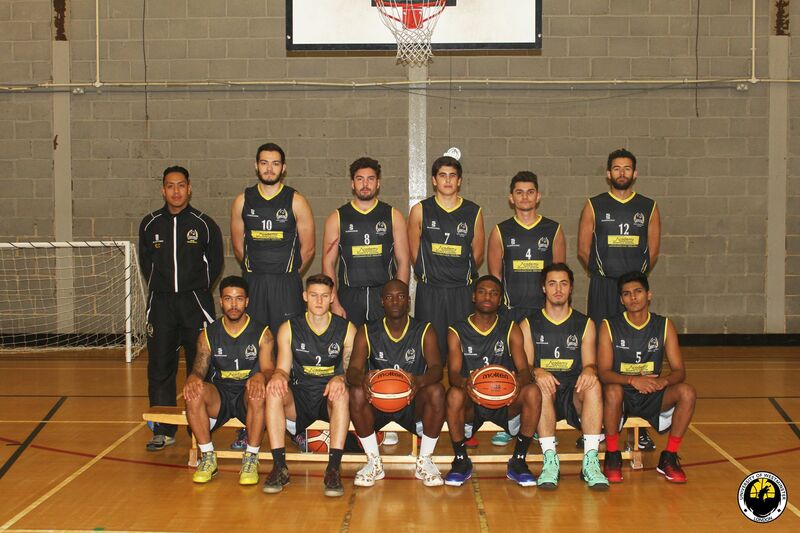 The club team entered London’s oldest Men’s Local League LMBL (London Metropolitan Basketball League) was seen as an opportunity for University of Westminster players to play more games during the academic year, as BUSA (Now known as BUCS) only offers max 10-12 games per season. The traditional and classic Harrow Sports Hall situated in the University of Westminster Harrow Campus was the home venue of the Dragons. After one LMBL season, the club disbanded and more of the focus went on the university division. The Dragons played 18 LMBL games and lost 18. In 2013-14, Coach Michael Case revived the Men’s club with the support of the University of Westminster Students’ Union. 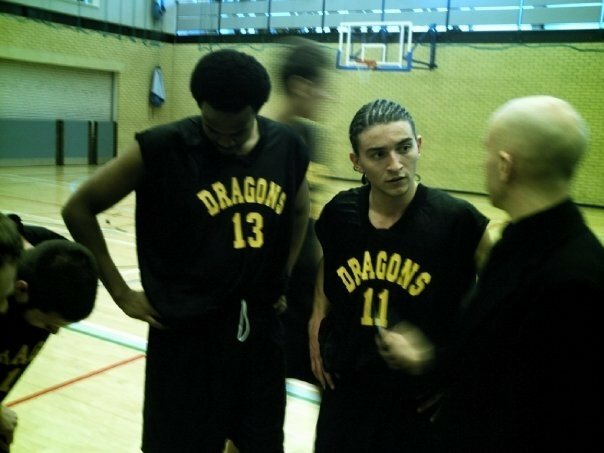 For two seasons, Coach Case combined a team of Dragons consisting of former alumni and current players to compete in the London Metropolitan Basketball League (LMBL). The first season in charge Coach Case led the team to a 6-6 record, finishing 4th overall. At the time, this was the Dragons highest season position in the league’s history. As Coach Case left the programme in 2015, Westminster Dragons made it returns the following season in 2015-16 with new Coach Clive Castillo. Coach Clive stated it was important for the programme to implement a Men’s Division, allowing more game time and experience for the players. The first season, Coach Clive impressed in his debut Men’s LMBL season with a favourable final record 11-5 and finishing 3rd in a tough LMBL Division 2. The extra league games throughout the academic year gained positive feedback from student-athletes. 1st team players felt “challenged” through the physical nature of the Men’s Division. 2nd Team players were happy for an opportunity to play at a higher level with the 1st team. After narrowly missing out on promotion back in 2016-17 (League Record 11-5, highest position 3rd) the Dragons struggled the following season 2017-18 with a string of losses and forfeits (League Record 8-10). 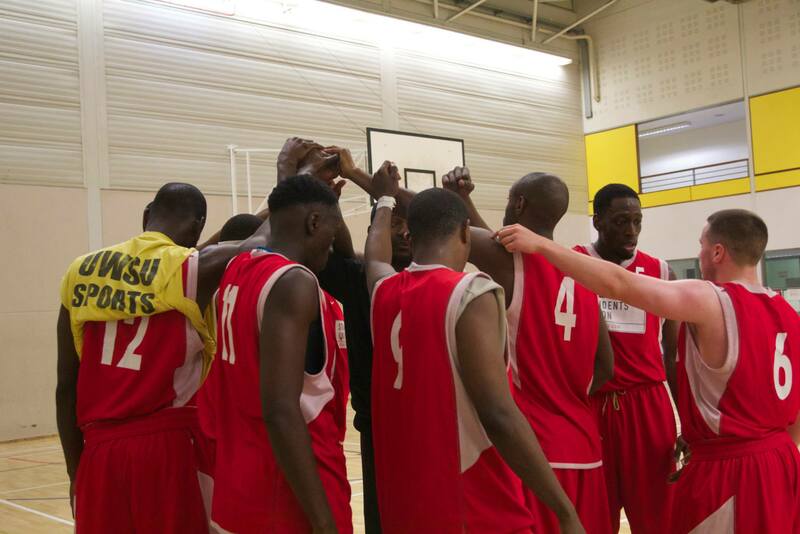 2019 would celebrate 10 years of Westminster Dragons competing in Men’s basketball division all over London. The best way to celebrate this is to announce the Westminster Dragons will be competing for the first time club history in the Basketball England National League Division Four! 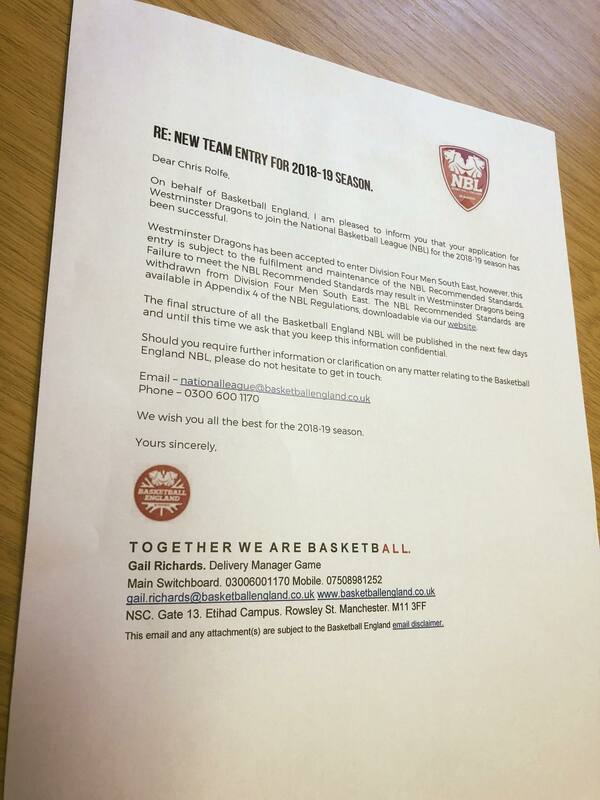 Coach Clive Castillo with the strong support of the University of Westminster Students’ Union is excited for the Dragons first venture on the national stage. “I have a new 5-year plan for the Westminster Dragons, where we are hoping to inspire and develop basketball throughout the Westminster community as a club.